e-Book, PDF format, watermarked, 171 illustrations, predominantly in colour. Tantric Buddhism views the mandala as an allegory and symbol of man’s relationship with the cosmos and uses it in meditation that is to lead to enlightenment. Numerous digital models of the mandala describe it structurally and elucidate this complex form of Tantric practice in understandable terms. 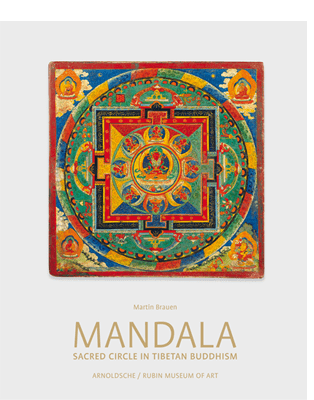 This book by Martin Brauen is the updated new edition of the 1992 publication, which has long been out of print but is regarded as one of the most comprehensive works on the mandala. The present publication contains texts, illustrations and tables that provide manifold approaches to and interpretations of this sacred symbol.